RUSH: Wacko news, predictable. Easter Sunday, part and parcel of Easter is the Easter bunny and Easter egg hunts and Easter candy, chocolate covered rabbits — well, no, no. Chocolate in the shape of rabbits, you know, the Easter bunny candy. 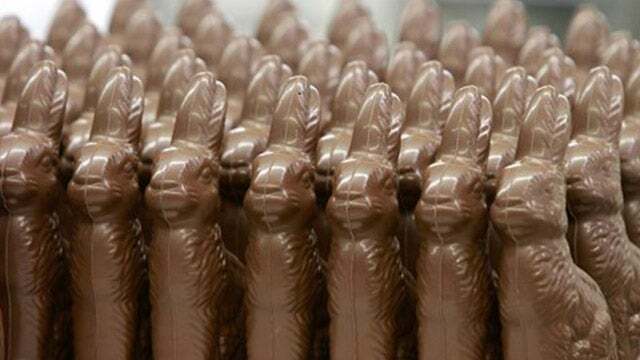 And we have a story now from an environmentalist wacko group at the University of Manchester in England warning everybody: “Beware the chocolate Easter bunny, and those foil-wrapped chocolate eggs. Both could be ‘bad for the environment’ warns a new study, which says that such confections can damage the environment. You are not to buy it this Easter. You are not to consume it. You are to leave it on the shelves. Otherwise you are contributing to global warming. Aimed at young kids. This is how they do it.